Ed is the owner of Gamble Funeral Service. He is an active member of White Bluff United Methodist Church where he serves as Chairperson of Church Council and is a member of the Finance and Endowment Committees. Ed is a member of the Executives Association of Savannah and Port City Lions Club. He is a graduate of the University of South Carolina and Gupton-Jones College of Mortuary Science. Ed earned the lifetime designation and maintains annual certification as a Certified Funeral Service Practitioner through the Academy of Professional Funeral Service Practice. He is a board certified funeral director and embalmer in Georgia, South Carolina and North Carolina. Ed was General Manager of Sipple Mortuary for eight years prior to starting Gamble Funeral Service. He is a member and former President of the Georgia Funeral Directors Association. Ed is a longtime volunteer with the Clarendon County Fire Department. He has a daughter and son-in-law, Elizabeth and Sean Briley. Ed is known as “G” to his four grandchildren, Donnie, Hope, Aidan and Rowan, and his two great-grandsons, Bentley and Ashton. Charlie is a native of Savannah. He graduated from Washington and Lee University in Lexington, Virginia in 1953, after which he served in the United States Air Force. Upon returning to Savannah in 1955, he began working at the Sipple family’s funeral home. Charlie has been a board certified funeral director in Georgia for over 60 years, serving families throughout Savannah and the Coastal Empire. Carter was born in Manning, South Carolina, and continues to reside there. He is a graduate of Presbyterian College and received his Masters from the University of Georgia. Carter has served in the fire service for 45 years both as a volunteer and as a career firefighter. He worked as a Deputy State Fire Marshal and retired as Chief of the Clarendon County Fire Department after 22 years in that position. Carter continues to serve as an active volunteer with that department. He was elected President of the S. C. State Firefighters’ Association in 1980 and has served on many committees for that group over the years. Carter was appointed to the State Fire Commission and was a key player in addressing the arson problem in South Carolina. He has received a number of fire service awards and recognitions, i.e. State Firefighter of the Year, Citizenship Award, and most recently the first and only recepient of the State’s Fire Service Life Time Achievement Award in 2010. Carter is married to Mary Jo, and they have two married sons, Jonathan (Denise) and Craig (Jae-Won) and three grandchildren (Cooper, Mary Louise and John William). He worked part-time for several years for The Bruner Agency of Summerton, S. C., with the Emergency Services Insurance Program as Loss Control Director. In 2014, Carter joined the South Carolina State Firefighters’s Association as Special Projects Coordinator. He has been assisting Ed Gamble and his funeral service since 1996. Frank is a native of Savannah and a graduate of Savannah High School. He attended South Georgia College, Norman Park College and Armstrong State University. Frank retired from the 117th Air National Guard after 36 years of service. During this time he served in many capacities, including First Sergeant, Command Chief Master Sergeant for the State of Georgia Air National Guard, active duty in Kuwait and Counter Drug Training at the Federal Law Enforcement Training Center. He was a part of the family buisness, Savannah Lumber and Supply Company for many years. Frank has served our community in many ways, most notably sixteen years as the 4th District County Commissioner. He is now in his second term as Chairman of the Chatham County Republican Party. He is an active member of Wilmington Island United Methodist Church and currently a lay member to the South Georgia Annual Conference of the United Methodist Church. Frank is married to Kathryn Getty Murray and has one son, Gray, and one granddaughter, Paige. Frank joined Gamble Funeral Service in 2005. Cecil was born in Bulloch County and has lived in Savannah since 1954. He married the former Barbara Smith and they have one son and daughter-in-law, and two grandsons. Cecil graduated from Commercial High School in 1957 and retired from United Parcel Service after 31 years of service. He is a member of The Gideons International. Cecil has been an active member of Calvary in Savannah for more than 30 years. Cecil joined Gamble Funeral Service in 2005. Bill was born in Freestone County, Texas, and was a graduate of Santa Paula High School in Santa Paula, California. He earned an Associates Degree in Fire Science from Southern Technical Institute in Marietta, Georgia. Bill served a tour of duty in the United States Air Force and retired as Assistant Chief in 1995 of the Savannah Fire Department after 35 years of service. He enjoys golf, fishing and camping. Bill has been with Gamble Funeral Service and Sipple Mortuary since 1996. Frank is a retired United States Air Force Master Sergeant. He is a member of Abundant Life Community Church in Pooler (a mission of the Evangelical Lutheran Church of America) where he serves on the Leadership Council and is a member of the music team. Frank is a member and Past Master of Thunderbolt Lodge #693 A. & F.M. and a member of the Thunderbolt Museum Society. He is a member of the Bonaventure Historical Society where he serves as a board member for lot liaison. Frank was married to the former Mildred Teeple, who died in 2009. They had four children, Frank R. Hill IV and his wife, Elizabeth, John Stephen Hill and his wife, Beverly, Christopher Teeple Hill and his wife, Gwen, and Andrea Kirsten Barrow and her husband, William, and eight grandchildren, Frank R. Hill V, Elizabeth Grayson Hill, Corbin Jeffery Hill, Cameron Jacob Hill, Angela Corinne Hill, Christopher Teeple Hill, Jr., William V. Barrow III and John Stephen Barrow. Frank has been with Gamble Funeral Service and Sipple Mortuary since 1997. Bruce was born in Lorain, Ohio, and is a graduate of the United States Military Academy (West Point) and Michigan State University. 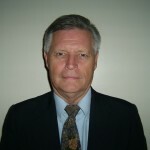 He retired from the United States Army as a Lieutenant Colonel and later retired from Bank of America. Bruce is a member of St. Thomas Episcopal Church and is married to Judy Macolly. He is a past president and former member of Port City Lions Club. Bruce has been with Gamble Funeral Service and Sipple Mortuary since 1999. Phyllis is a native of Virginia and was educated in Washington D.C. and Shenandoah County in Virginia. She is a graduate of James Madison University with a Bachelor of Science in Education. Phyllis taught school in Shenandoah County, Virginia, Hamblen County, Tennessee, and Savannah. She was married to the late Reverend L. Allan Wertz, Jr. for 45 years. (Allan, who died in 2001, was associated with Sipple Mortuary after his retirement from Faith Lutheran Church.) Phyllis is the mother of three daughters and the grandmother of three granddaughters. Dewain Smith was born in Brenham, Texas. He and Diane married in 1969, moved to Augusta, Georgia in 1977, and to Savannah in 1989. They have 4 children and 11 grandchildren. He was ordained to the Permanent Diaconate in the Diocese of Savannah in 1985, serving at Most Holy Trinity Catholic Church in Augusta for 5 years and at the Cathedral of Saint John the Baptist for 21 years. He holds a Bachelor of Music Education, a Master of Arts in Pastoral Studies and is in process to complete a doctoral program in K-12 education. He retired from a 30 year sales career in 2005. He began teaching at Benedictine Military School as a part-time Choir Director in 2001, and currently teaches full-time in the Religious Studies Department, Choir in the Fine Arts Department, and Band in the JROTC program. He considers his work at the funeral home (organist, officiating at a service, or assisting in a service) as an integral part of his diaconal ministry. Dewain has been with Gamble Funeral Service and Sipple Mortuary since 1999. Jim is a Savannah native. He attended public school and later joined the United States Army during the Korean War. Jim went on to own and operate his grocery store for several years. In later years he worked for Roger Wood Foods and retired as sales manager. Jim is a member of St. Michael and All Angel Episcopal Church, where he has served on various committees and is currently the Senior Warden. The Mysterious Santa Clause, Interfaith Hospitality Network and Smart Senior are a few of the ministries in which he is involved. Jim has been married to his wife, Sue, for 48 years. The have two grown children, Sue and Keith. 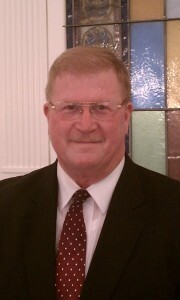 Jim joined Gamble Funeral Service in 2007. Bill is a graduate of Savannah High School, the University of Georgia and the School of Banking of the South at Louisiana State University. Bill worked in the local banking industry for approximately thirty years, specializing in small buisness administration (SBA) lending. For the past ten years he has been a realtor in the Savannah area. Bill is an active member of First Baptist Church of Savannah, where he is a past member of the Deaconate. Bill is also a member of the Exchange Club of Savannah and the Savannah Quarterback Club. Bill and his wife Kathy have three children and nine grandchildren. Bill joined Gamble Funeral Service in 2009. Bill was born in Oak Hill, West Virginia. He lived in West Virginia, Bay City Michigan, and Merritt Island, Florida prior to graduating from Fayetteville High School. He served six years in the United States Army, during which time he achieved the rank of Sergeant, and earned a degree in Civil Engineering. Bill moved to Savannah in 1991. Prior to moving to Savannah in 1991, He lived in Beaumont, Texas. Bill has worked in sales for most of his career, and was self- employed as a nation wide truck driver for nine years. Bill is married. He and his wife have a blended family of one daughter and son-in-law, two sons, and two grandchildren. He is an active member of Kirk O’ the Isles Presbyterian Church in Savannah, and also attends New Covenant Presbyterian Church in Richmond Hill. Bill joined Gamble Funeral Service in 2009. Nigel is a native of Marietta, Georgia, and attended college at The Citadel. Following graduation, he went to work for a major non-profit maritime organization and arrived in Savannah in 2003. Nigel is married to the former Leigh Hill of Augusta and together they raised two daughters. He is a Deacon at Kirk O’ the Isles Presbyterian Church and enjoys cooking and renovating old houses. Nigel joined Gamble Funeral Service in 2010. Sam joined Gamble Funeral Service in 2012. Bobby joined Gamble Funeral Service in 2014. Mike joined Gamble Funeral Service in 2015. Brian joined Gamble Funeral Service in 2017.